The Disir are the ancestral mothers, the first of each of our ancestral line. There are around 400 votive altars raised all over Europe dedicated to ancestral mothers. Freya is considered the ‘Queen of the Disir’ due to her fertility and magical qualities, but Frigga could very well fill this role. Frigga is the Goddess of fertility in the motherly aspect. She is mother Earth and the Patron Goddess of mothers and family. She assists in childbirth, as the Disir are said too. The Disir are said to have these same qualities. “They are present at every persons birth, through their life and at their death.” (Ancient Mothers, Winefred Hodge) It could also be argued that they fill the role of the Norns, being past, present and future. Another theory is that the Disir are the displaced Souls of the Ancestral Mothers. (Theedrich Yeat) Upon our birth the ancient mothers enter our bodies with our first breath and guide us through our lives, and on our death, we release their spirit with our last breath for the next of kin. Freya or Frigga could very well be the First of our Line that our Folk have carried with us generation upon generation, hence the title Vanadis, Queen of the Disir. The Disir are family specific, and an important aspect of both men’s and women’s souls. Each family has their ancestral mother’s blood flowing in their veins. The Disir are the little voice inside of us that tells us to go forth or hold back. They are the woman’s intuition that we inherit from our mothers, both ancient and modern. The Disir are important to both men and women, since we all carry our mothers’ line. The Gods and the Goddesses represent the collective unconscious Soul; the Disir (and the Einherjar) represent our conscious soul, our living soul. They aid us now in our waking state. They give us awareness of things we need during our conscious state: strength, intuition, inspiration, etc. They are important to us as the healing, seeing, wise female spirits that guide us in our daily lives, the gut instinct that you get when something feels so right or terribly wrong. 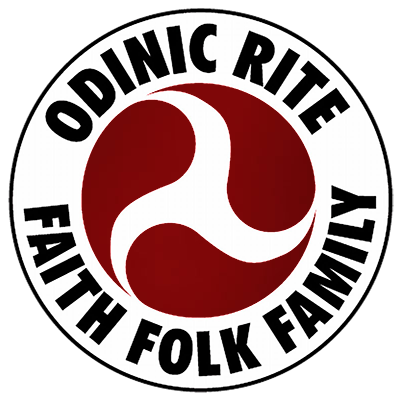 The Disting and Ostara celebration is the time the Disir are the strongest. The veil between here and the world of the Disir is the thinnest. Kindle a fire and speak of their greatness. Remember that evening, they will hear you across the generations of your family and you will feel their strength and gifts. Celebrate this special time with a Feast to the Disir. Spring is the time when the Goddesses go on the hunt; this is a time for the Ancestral Mothers to ride with Freya (or Frigga) leading the hunt! If you hear it, you are lucky; if you see, you are dead or going to be soon. Every time you speak their names and sing their deeds, they live forever.